This simple family home in Ravenscourt, London, England has been decorated with a simple red and white theme with a retro touch. The eclectic decor provides a sense of quirkiness that feels both homey and stylish. The white modern kitchen is highlighted by splashes of red. The red carpeted spiral staircase provides continuity to the theme. 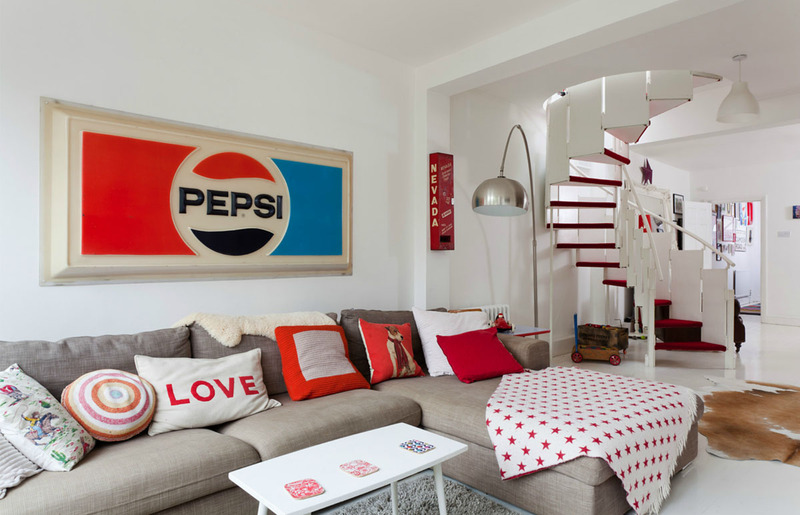 Red is a colour that some people find too overpowering for their living rooms. But it can be a very contemporary and elegant colour scheme against a white or light beige background. 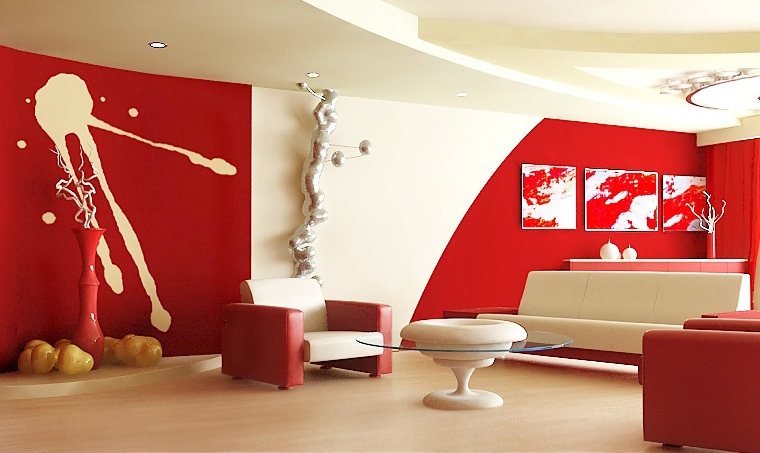 These living room designs give you some ideas on how to use red effectively.